We thought it was the end of the world. 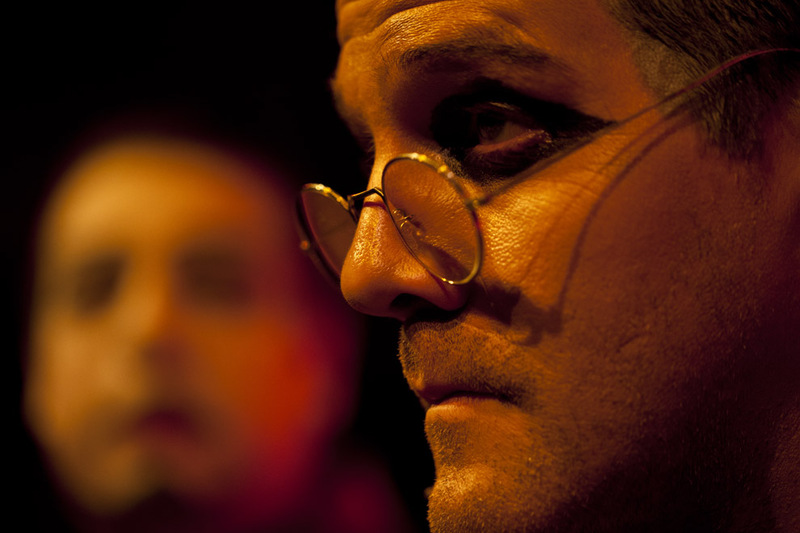 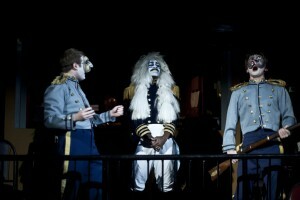 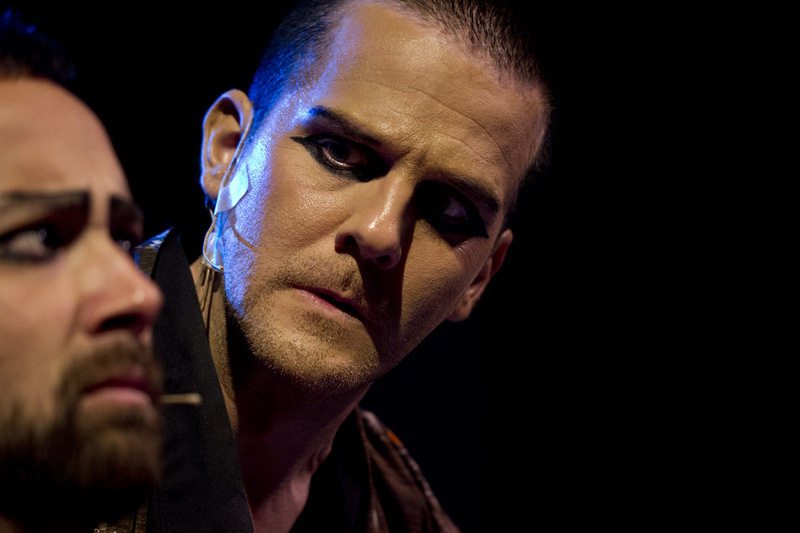 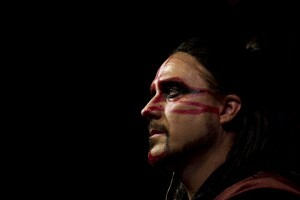 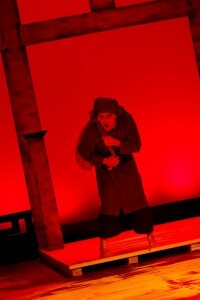 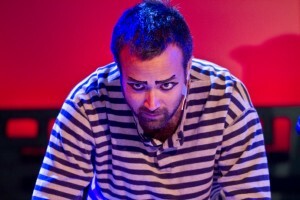 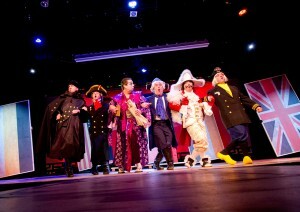 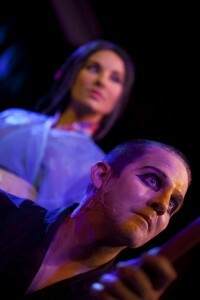 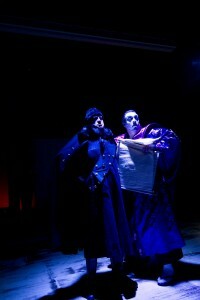 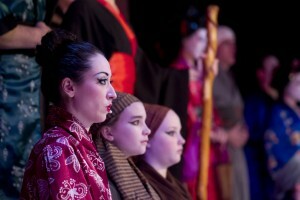 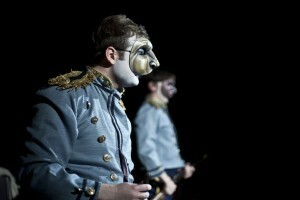 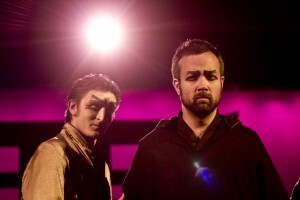 The modern master of musical theater is renowned for Sweeney Todd, A Little Night Music, and Company. 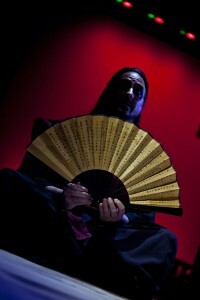 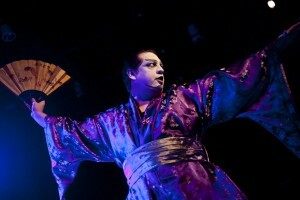 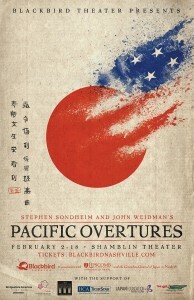 But one of his most compelling works is the rarely produced gem Pacific Overtures. 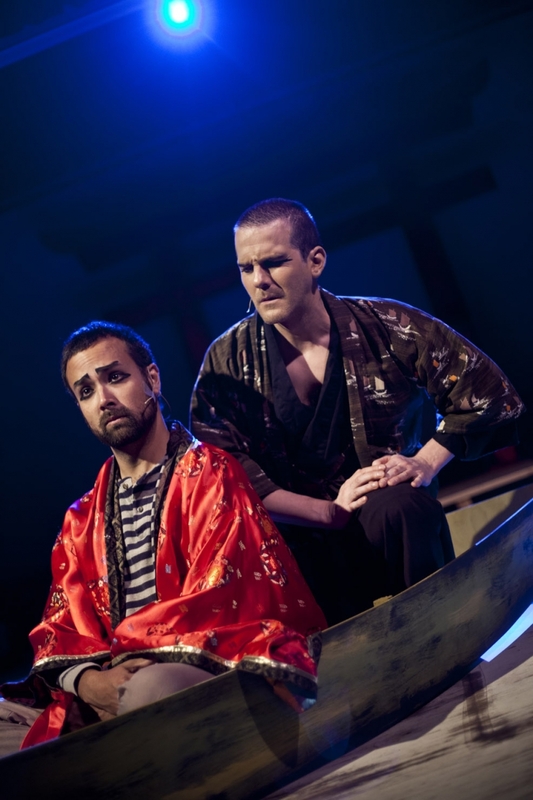 In 19th century Japan, an unlikely friendship is forged between the samurai Kayama and the Americanized fisherman Manjiro in the wake of a U.S. naval mission to secure trade relations with the reclusive nation. 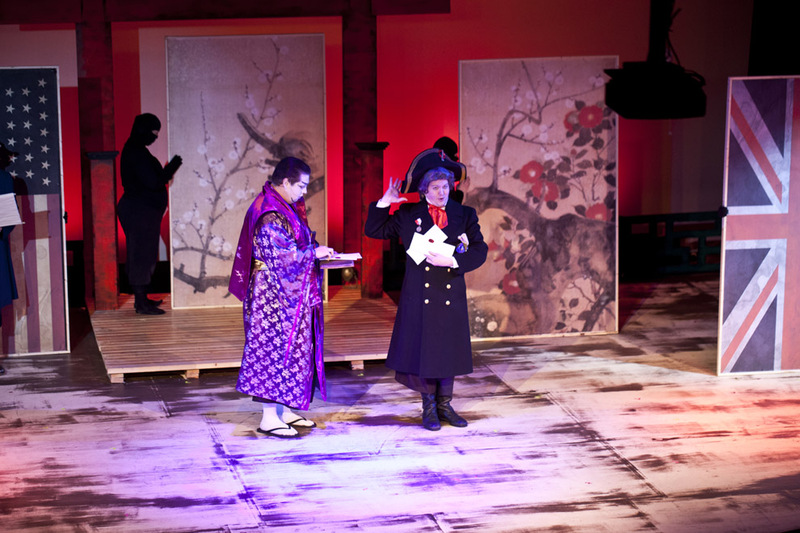 Kayama and Manjiro – and all of Japanese society – must face the wave of Westernization that follows. 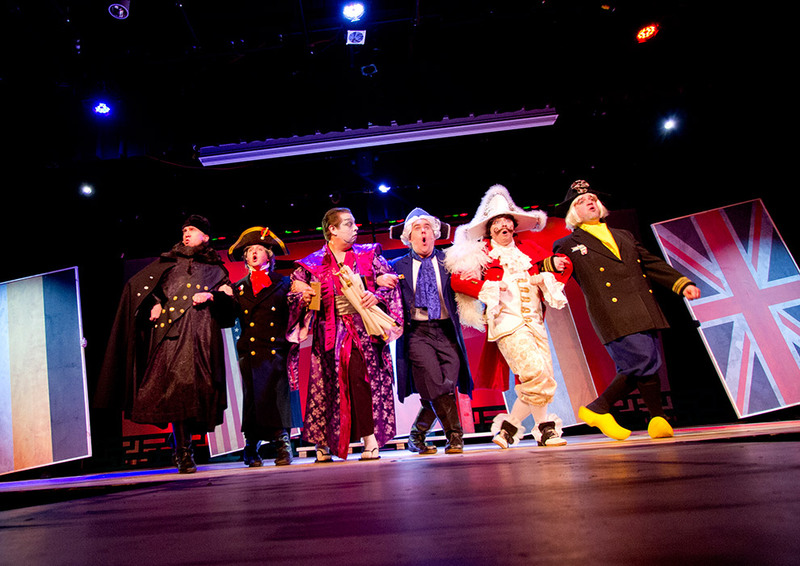 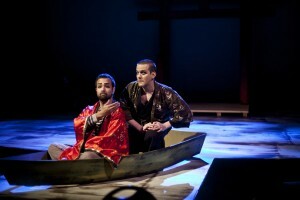 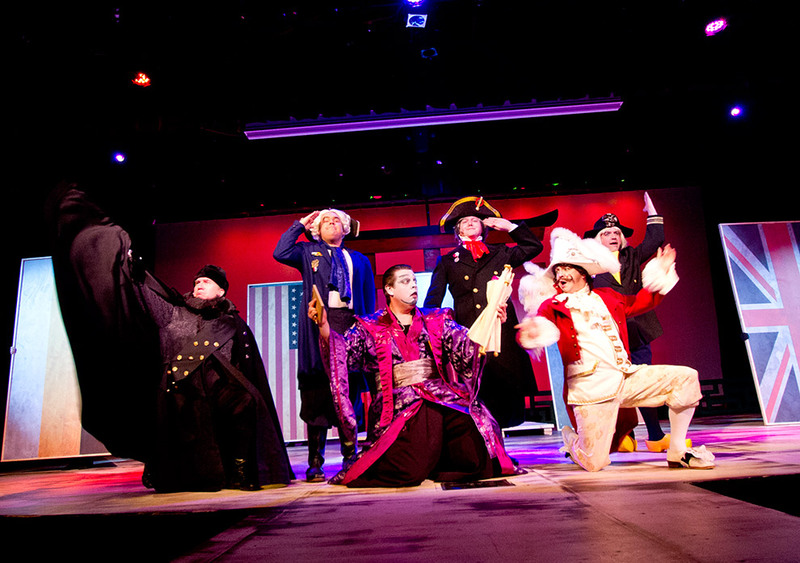 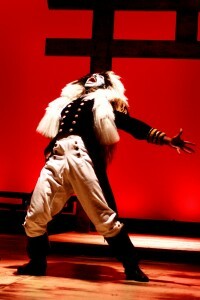 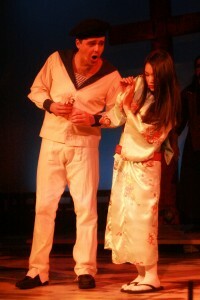 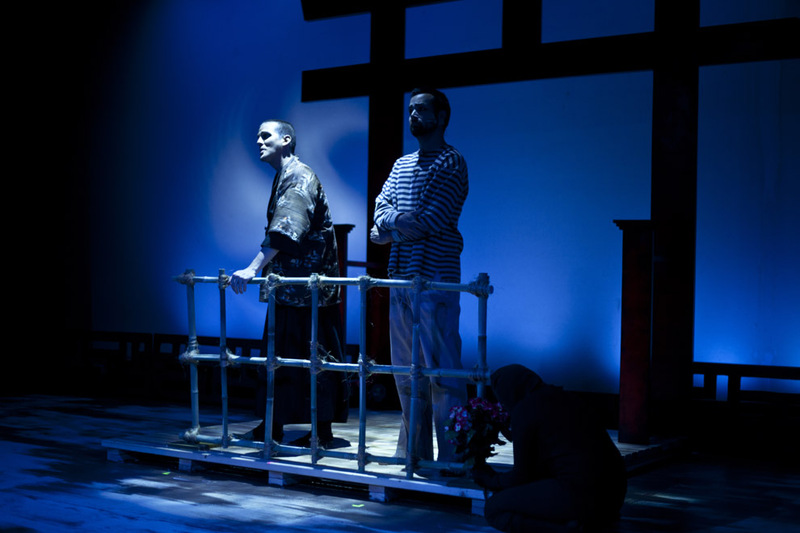 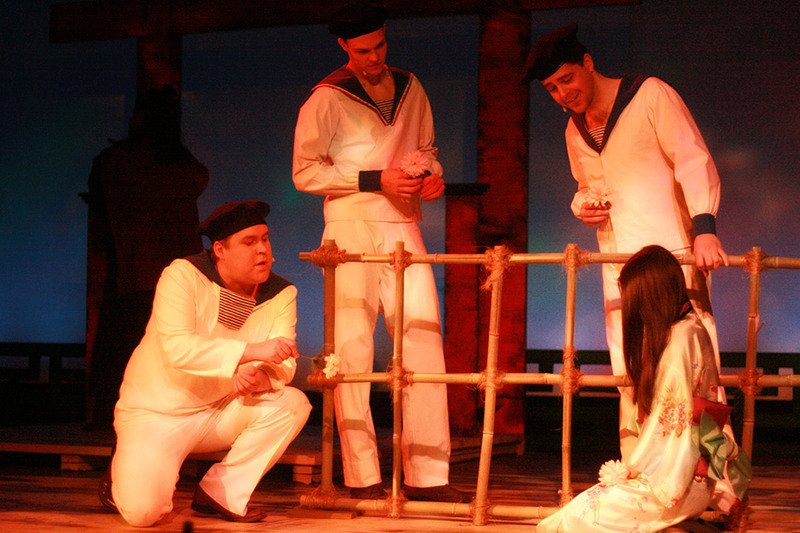 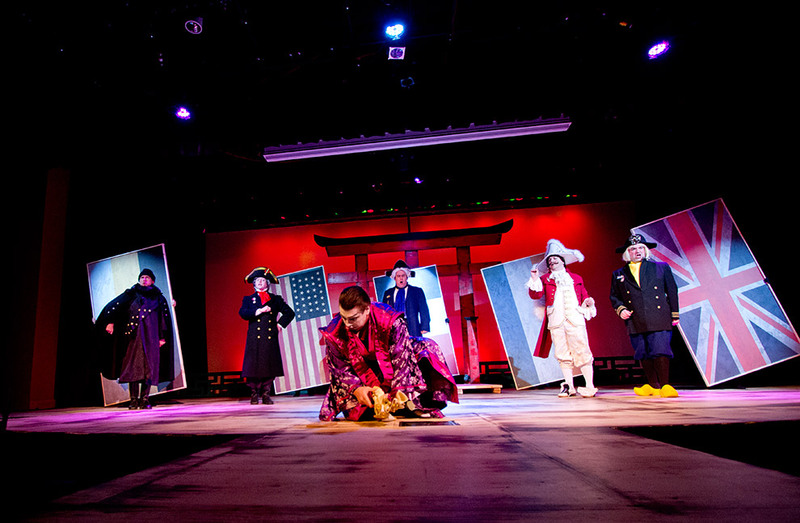 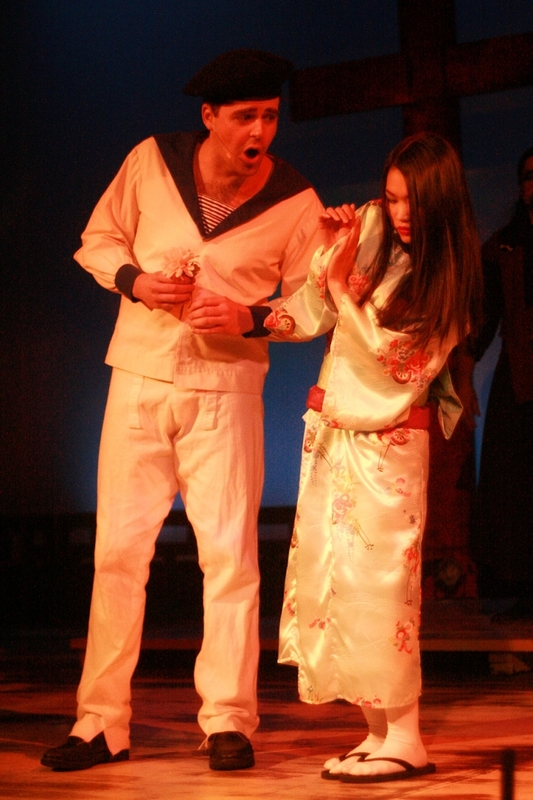 Pacific Overtures tells the story of Commodore Matthew Perry’s 1853 mission to open trade relations with isolationist Japan through gunboat diplomacy. 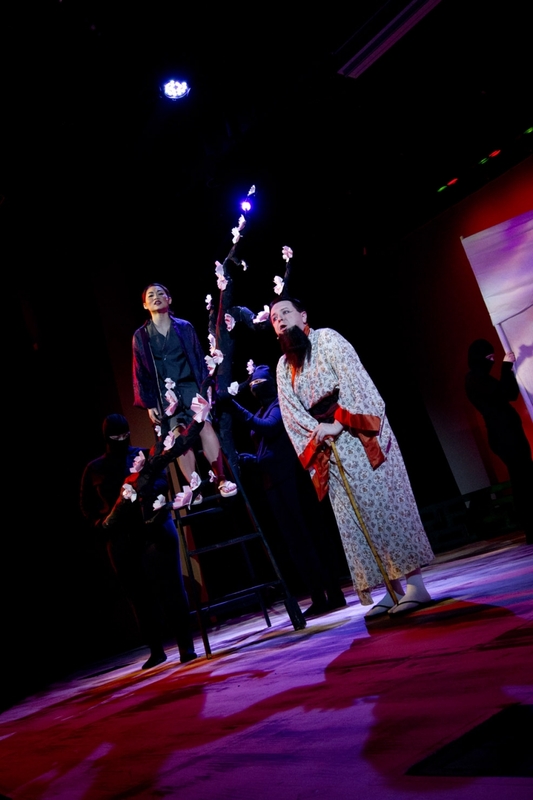 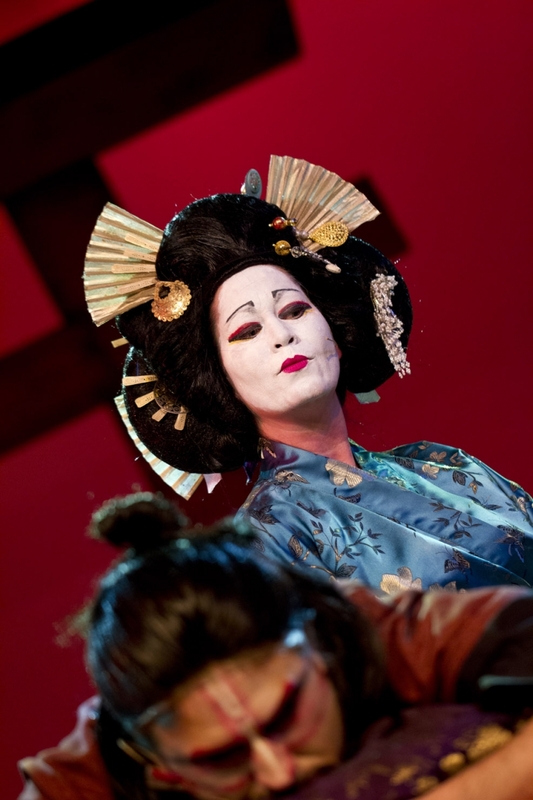 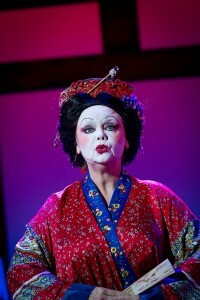 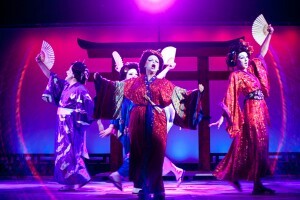 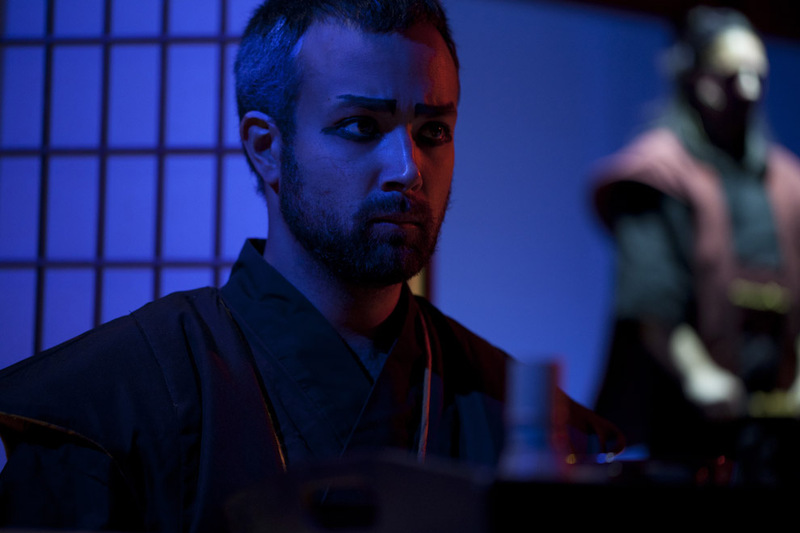 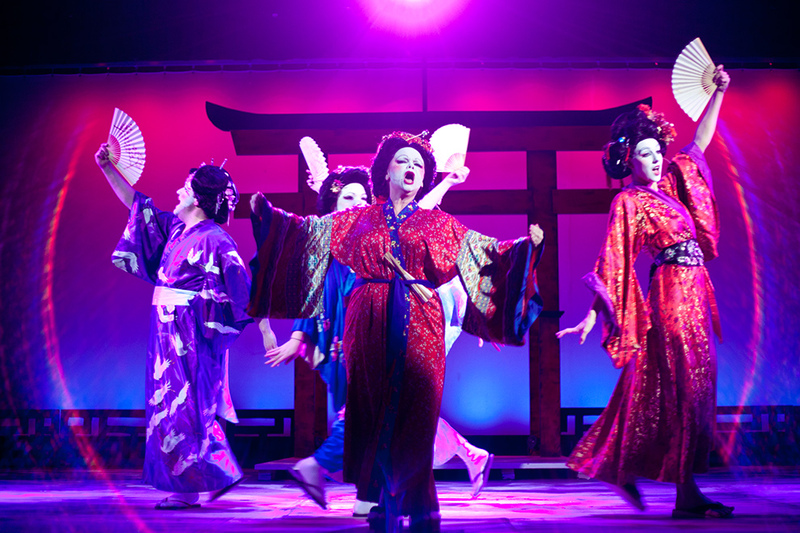 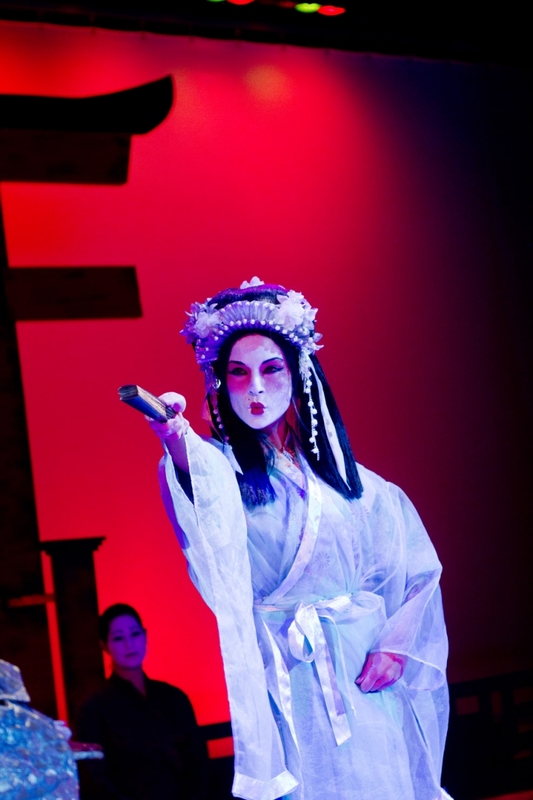 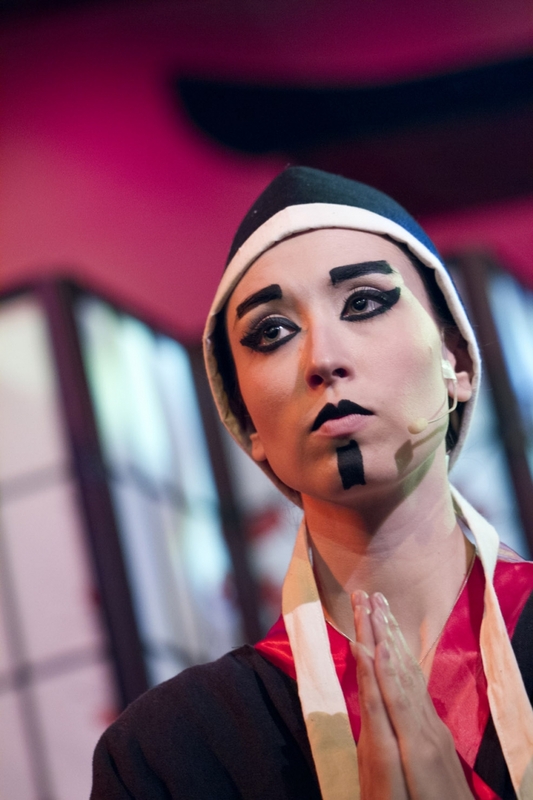 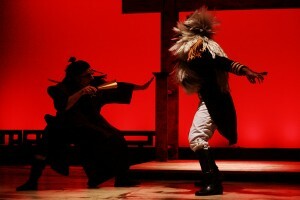 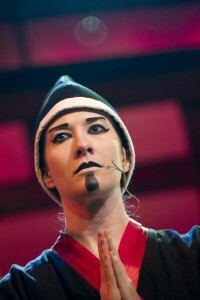 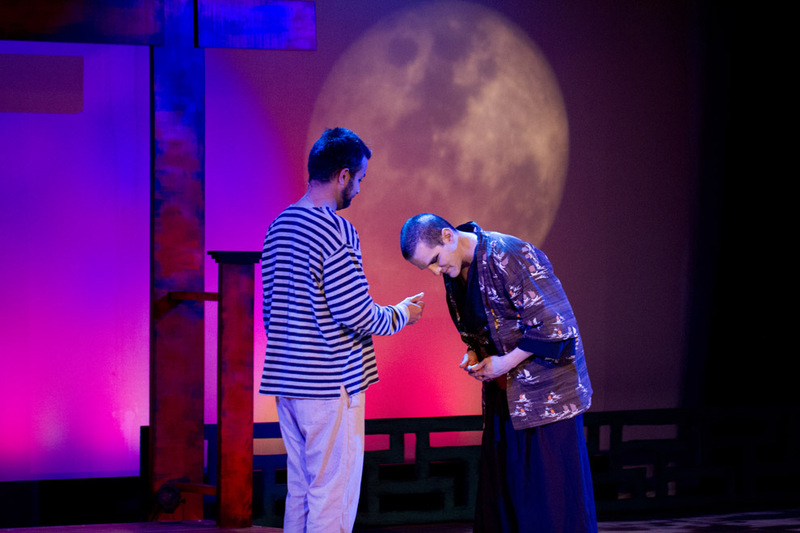 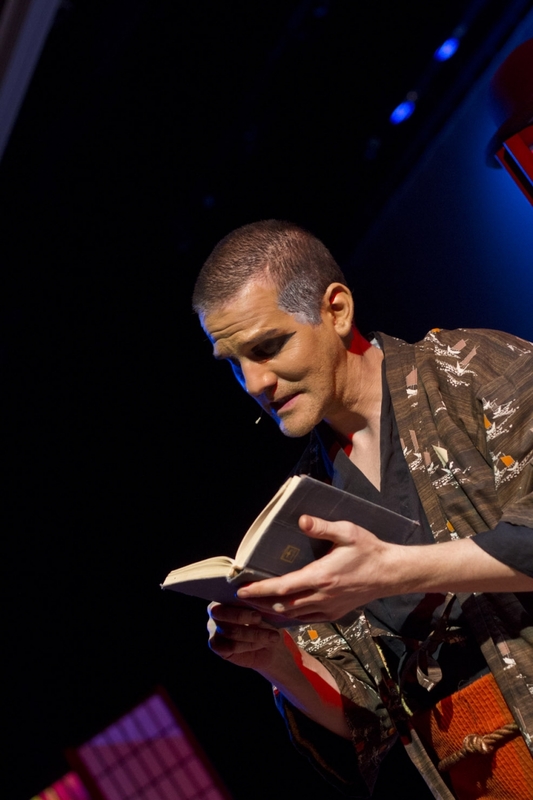 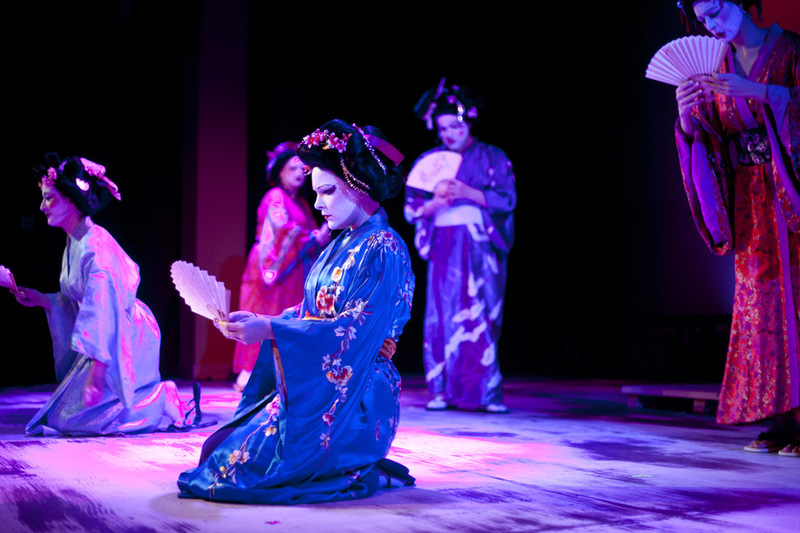 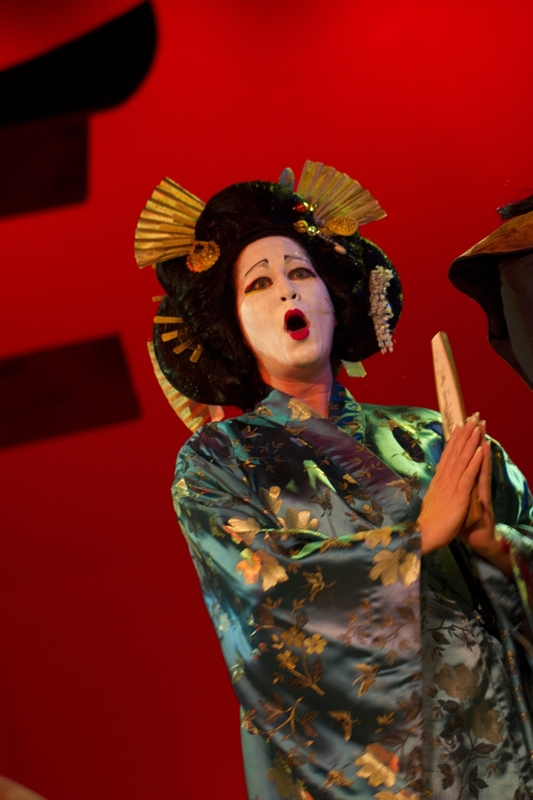 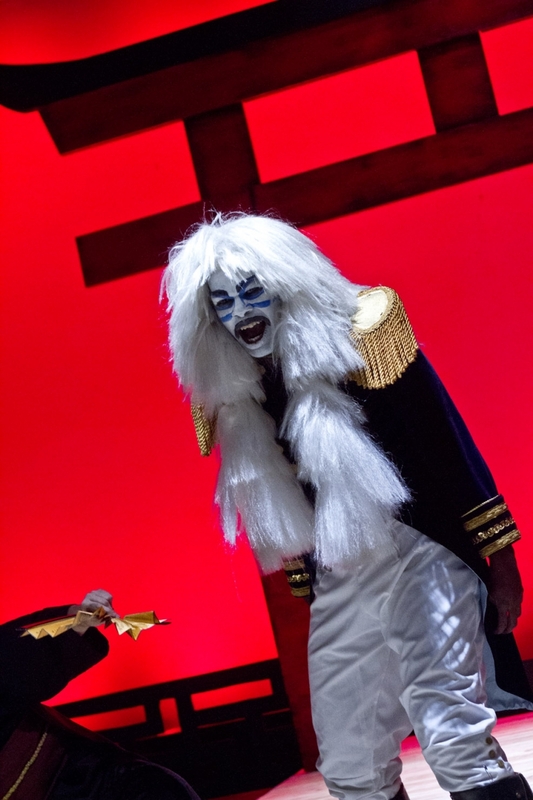 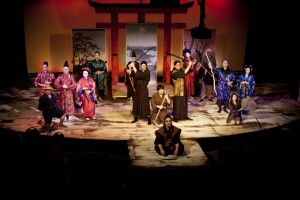 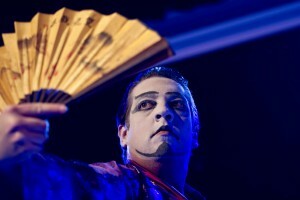 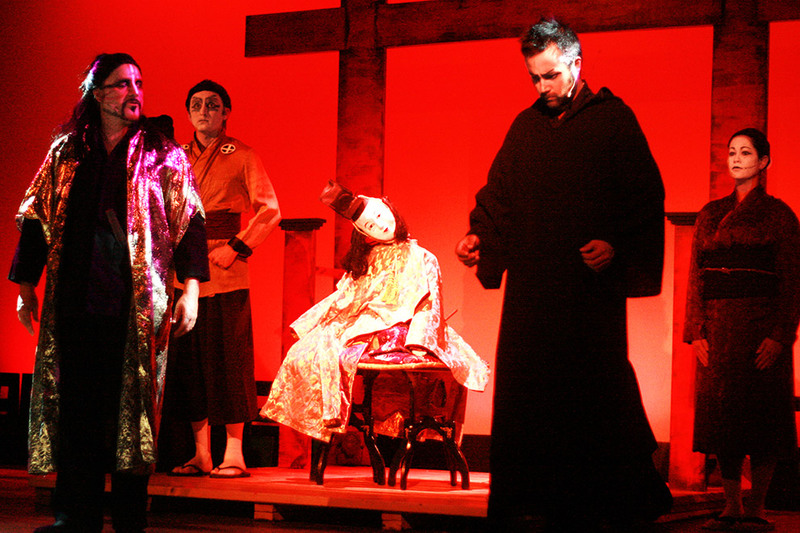 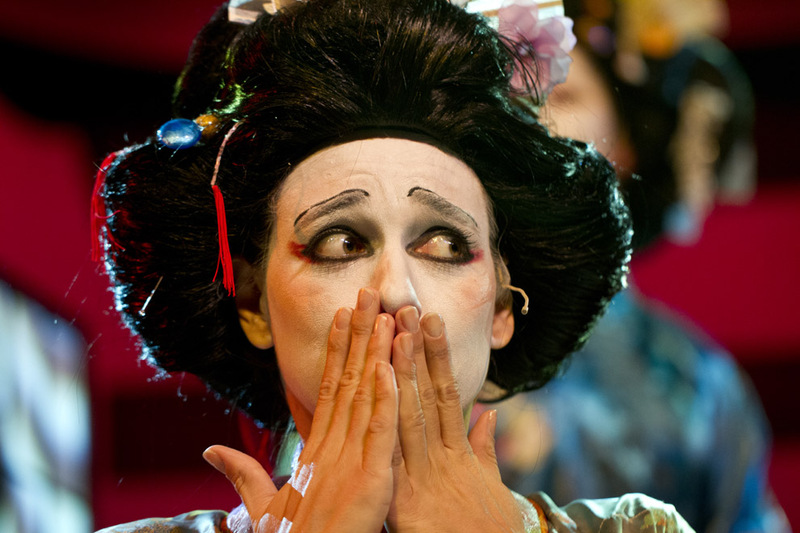 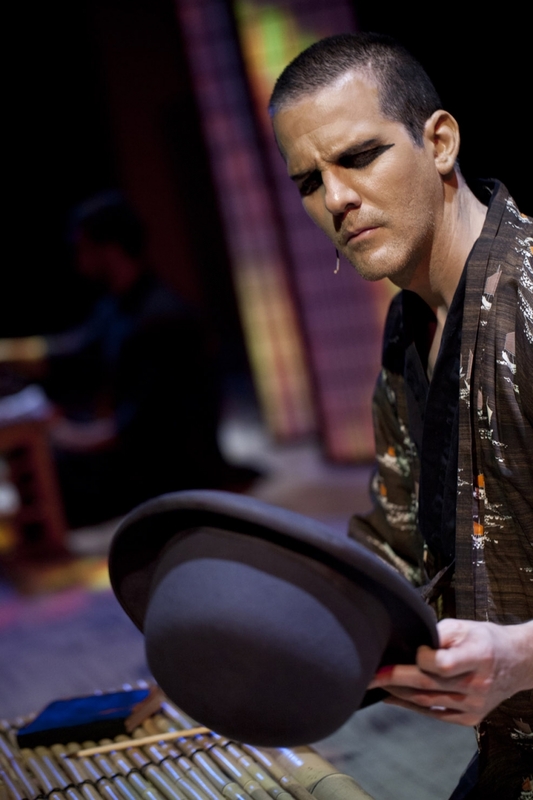 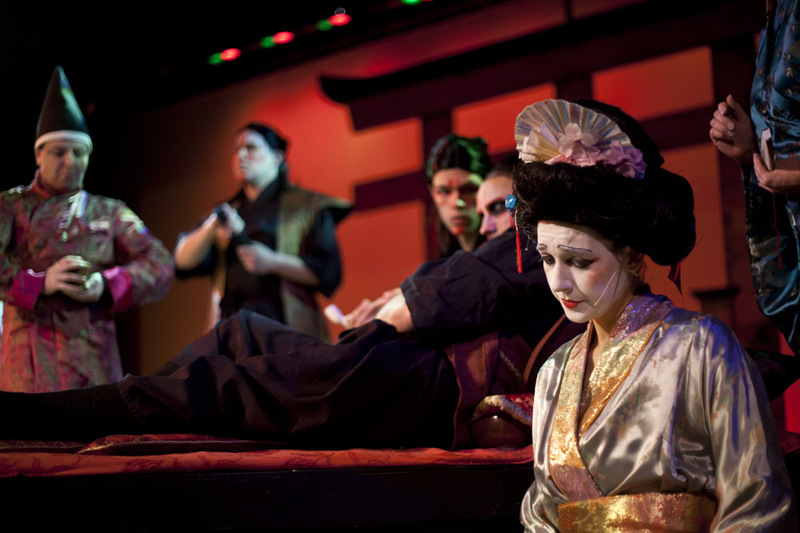 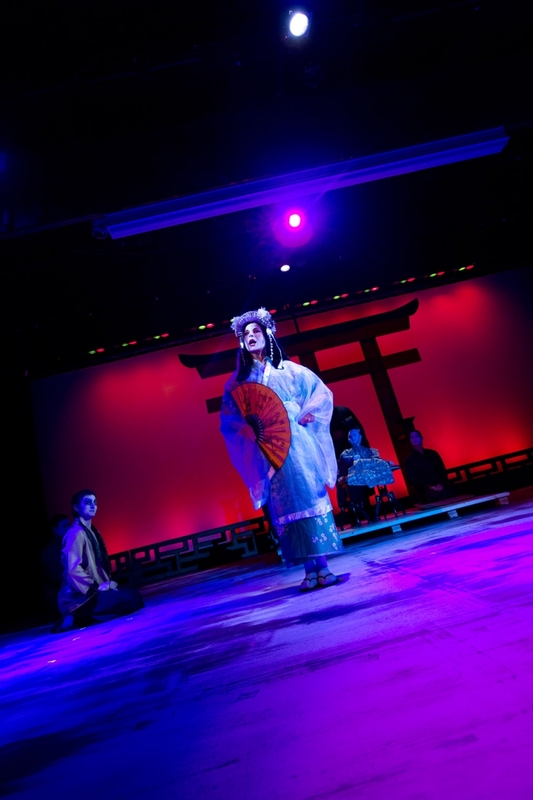 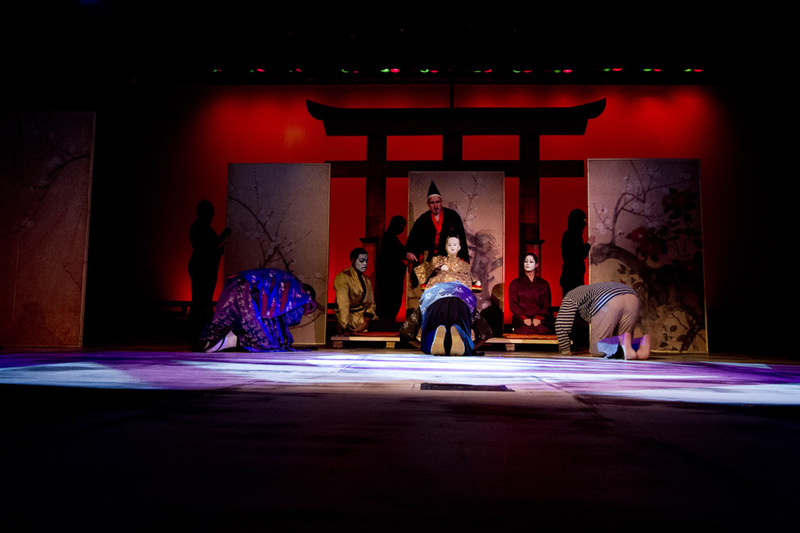 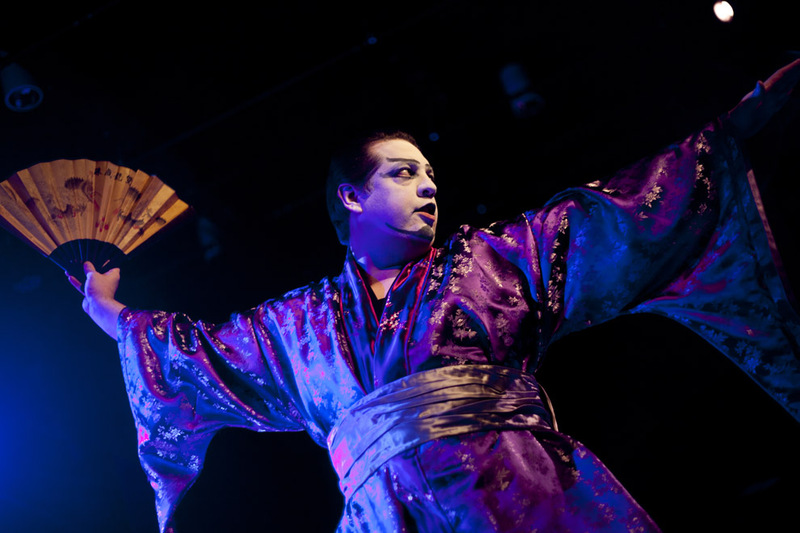 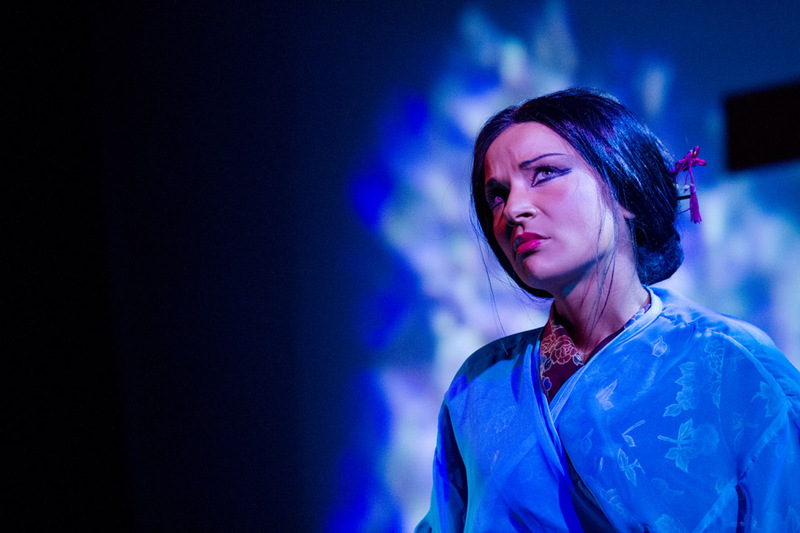 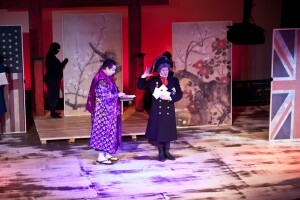 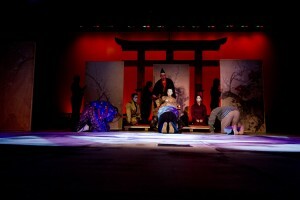 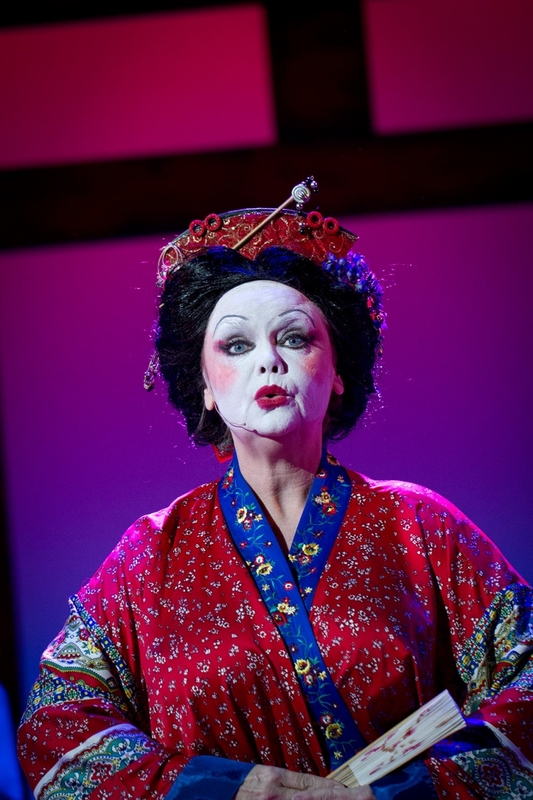 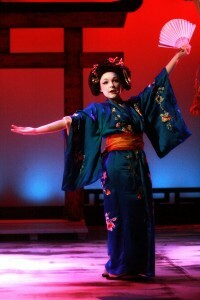 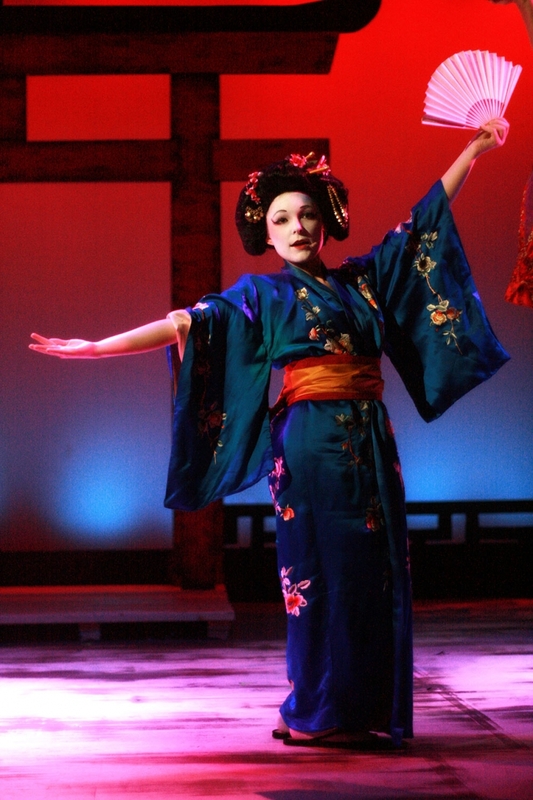 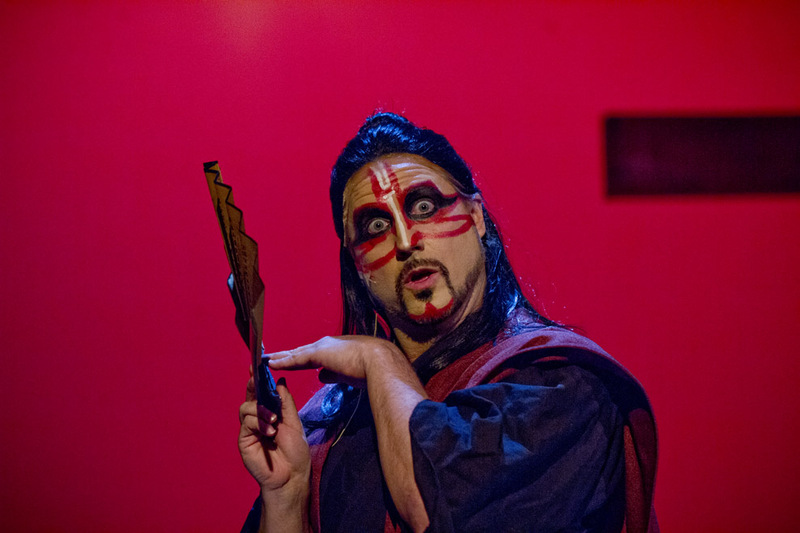 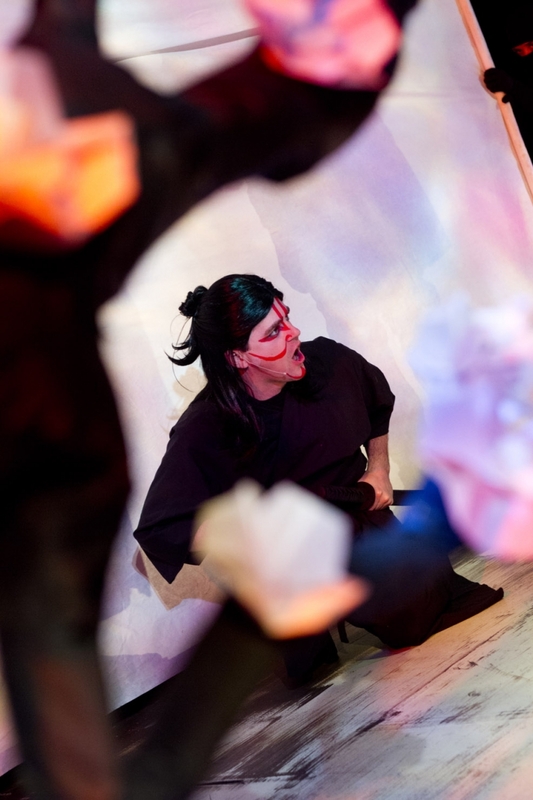 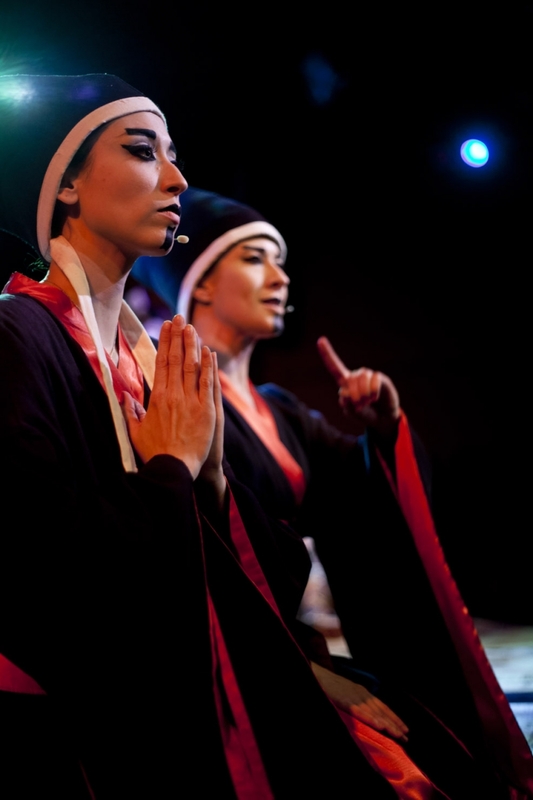 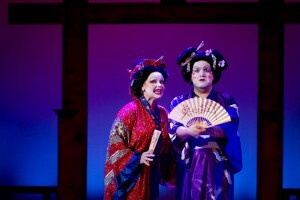 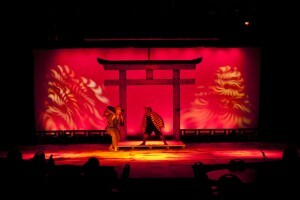 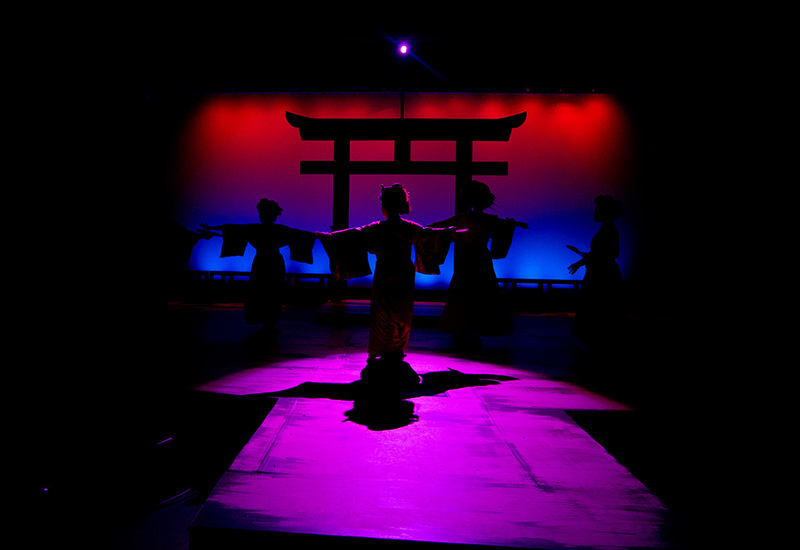 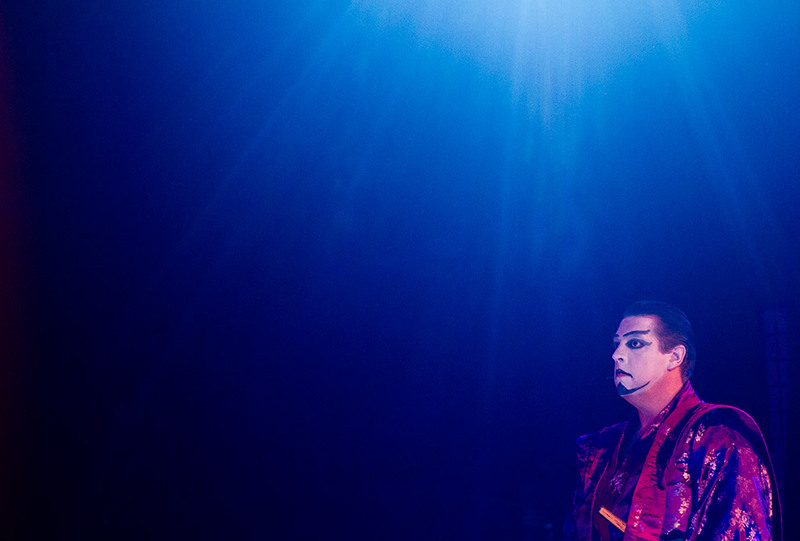 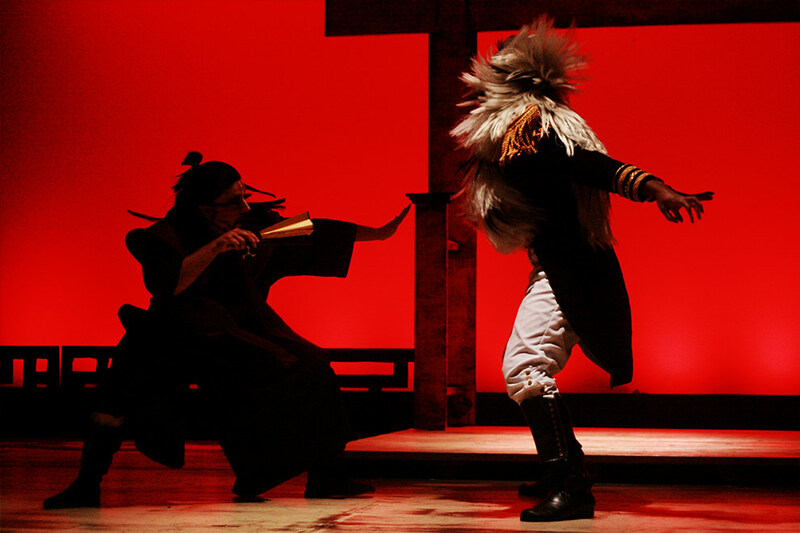 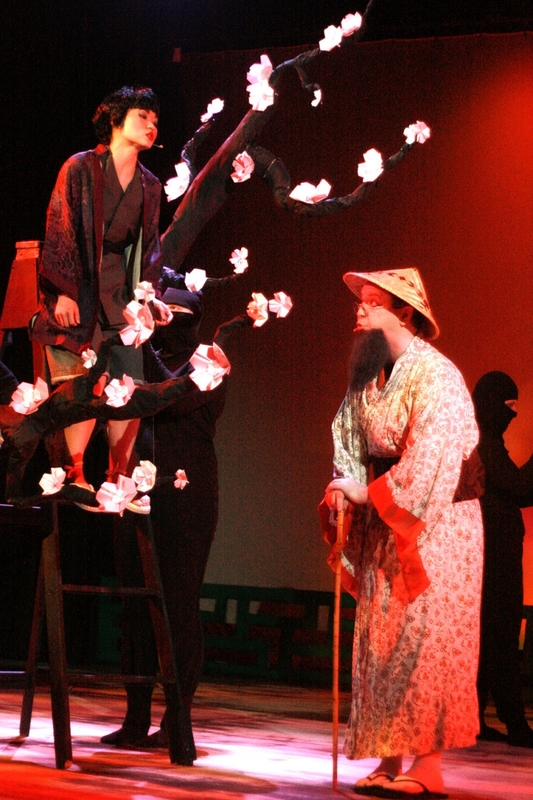 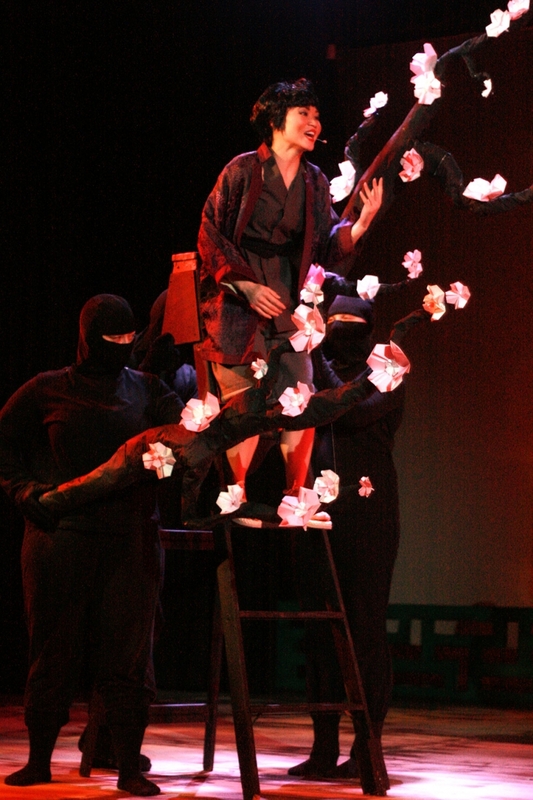 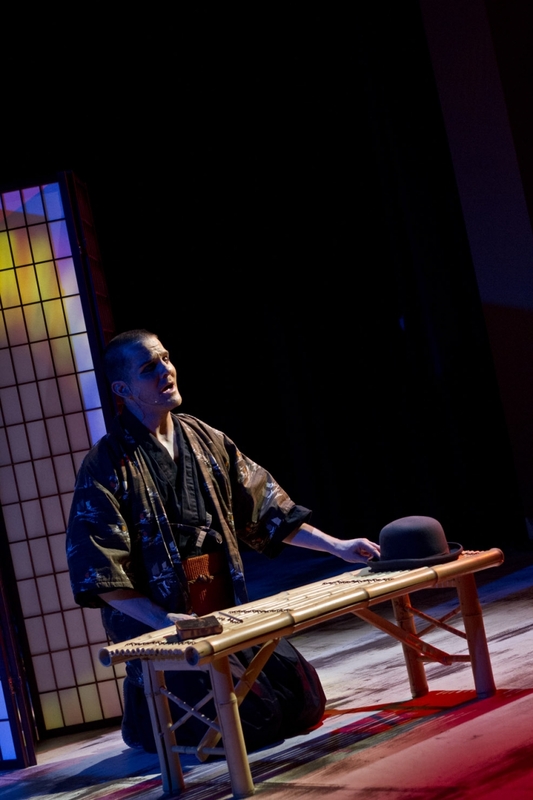 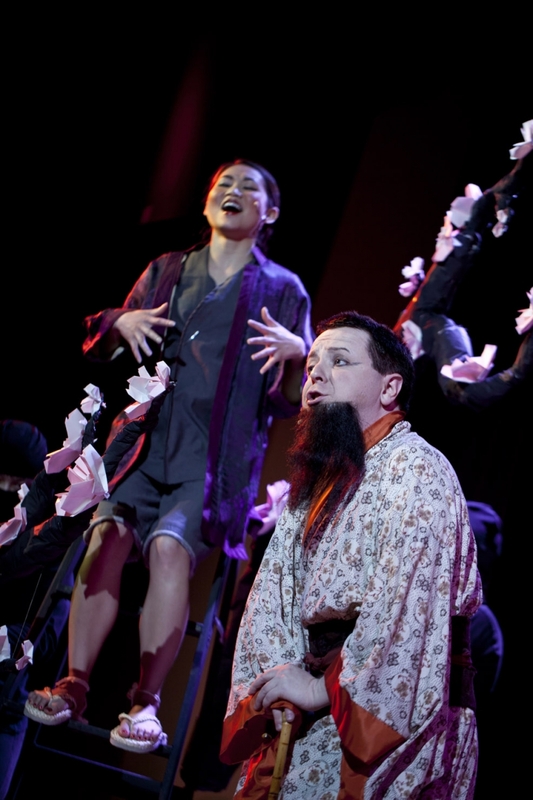 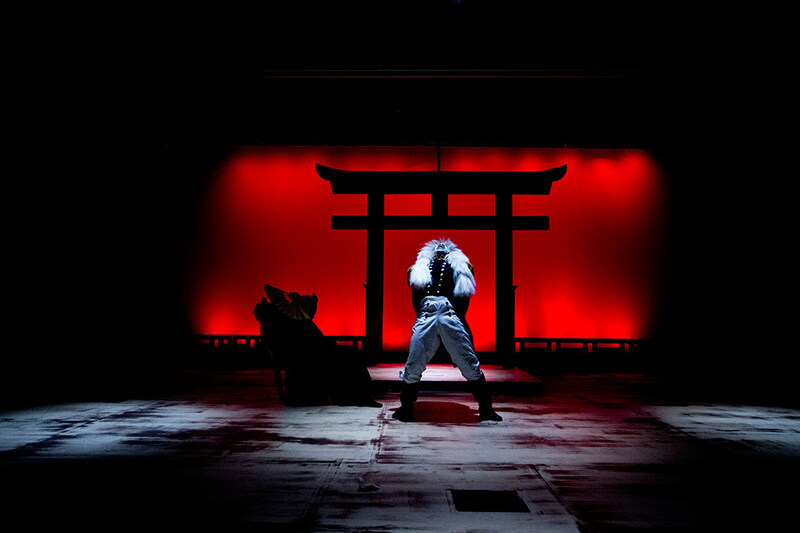 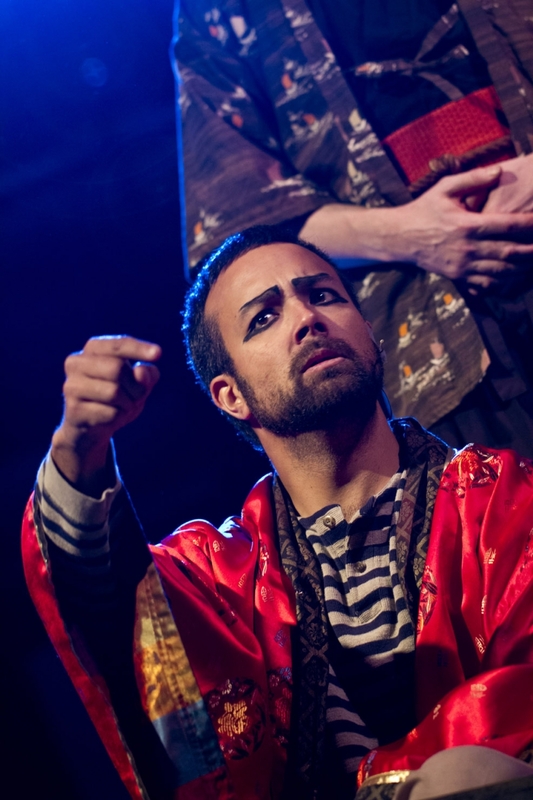 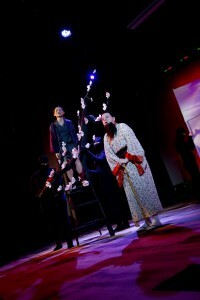 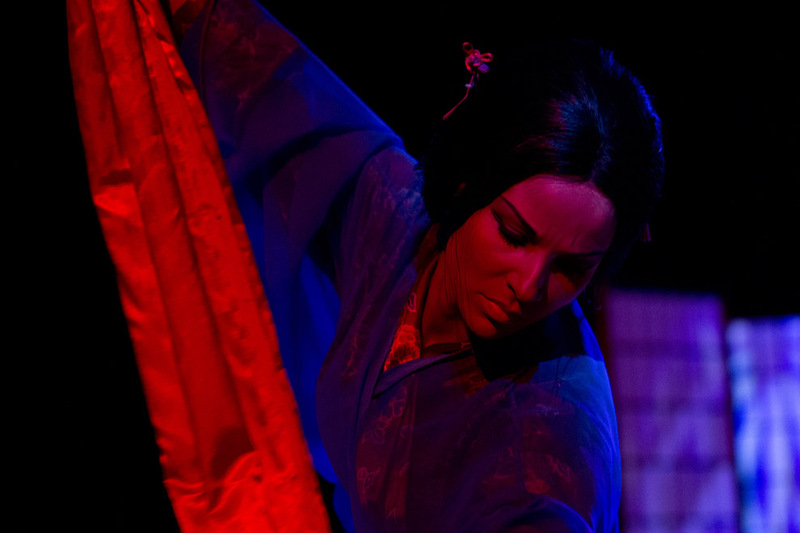 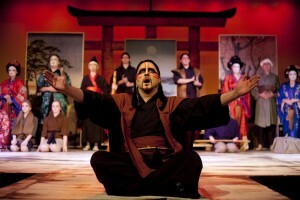 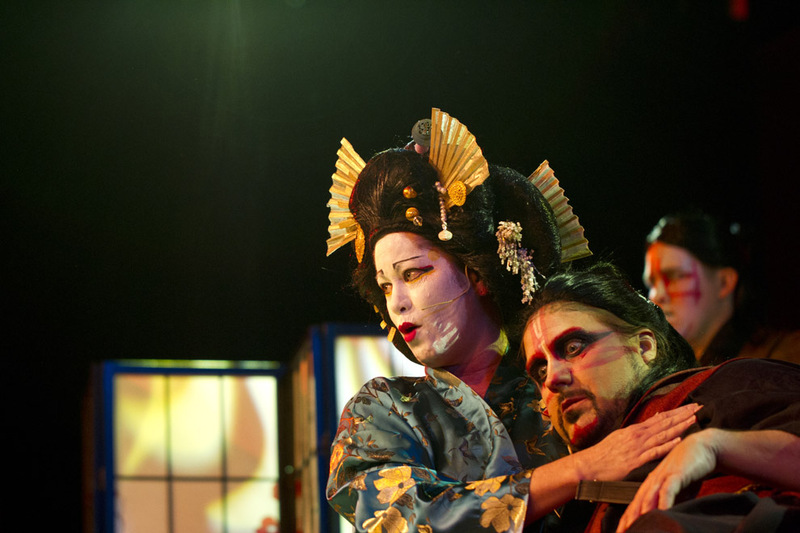 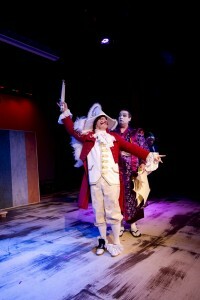 This innovative show by Stephen Sondheim and John Weidman blends the American musical form with elements from Kabuki theater, to present the origin of relations between America and Japan through the eyes of the Japanese. 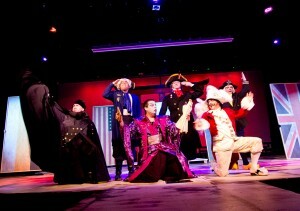 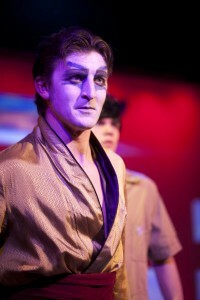 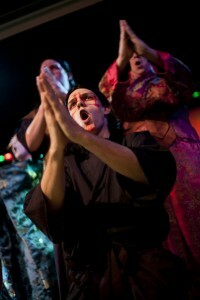 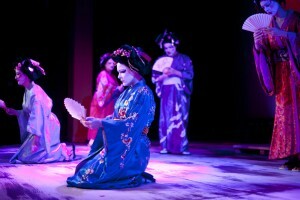 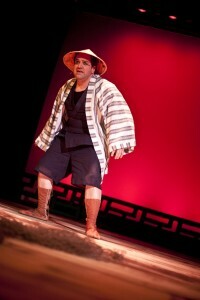 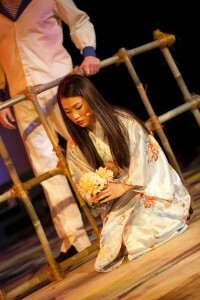 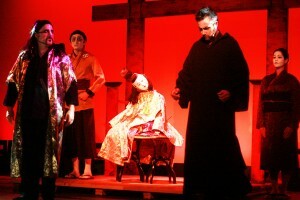 Pacific Overtures features a gorgeous score and, of course, the peerless lyrics of Stephen Sondheim. Highlights include the soaring “Poems”, the comedic tour-de-force “Please Hello”, the delicate, diabolical “Chrysanthemum Tea”, and its best known song, the beautiful (and chilling) “Pretty Lady”. 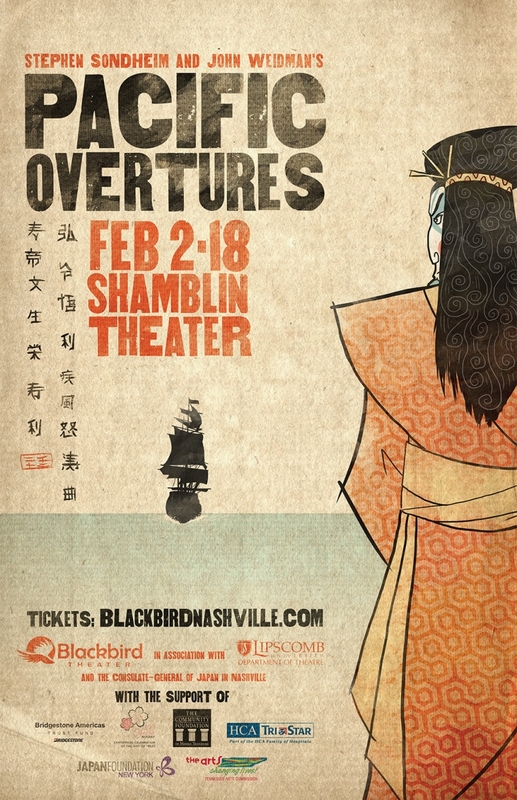 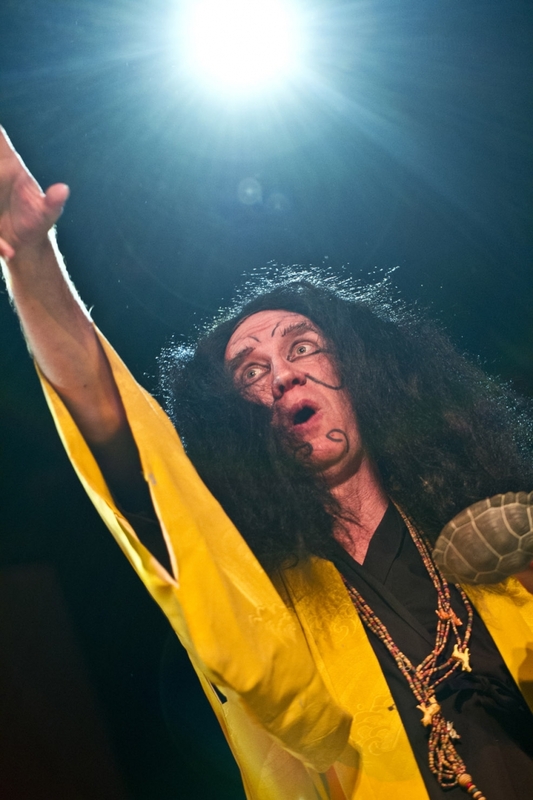 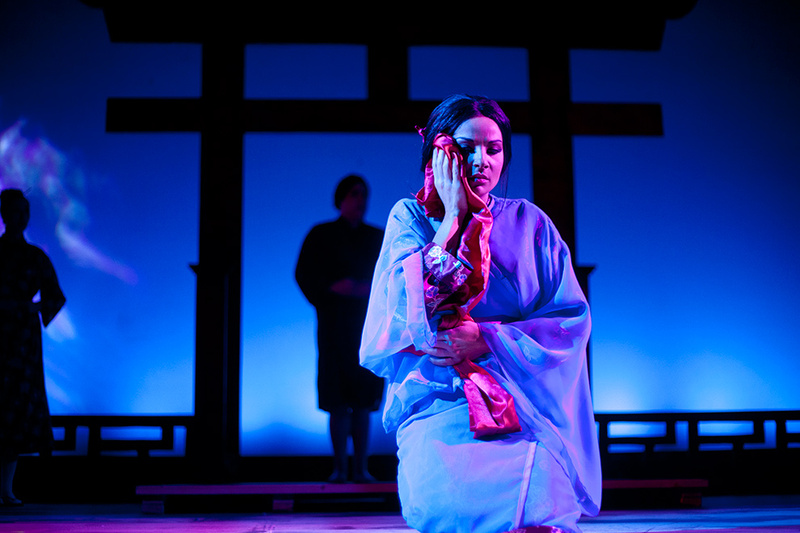 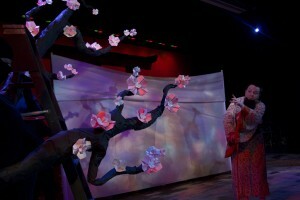 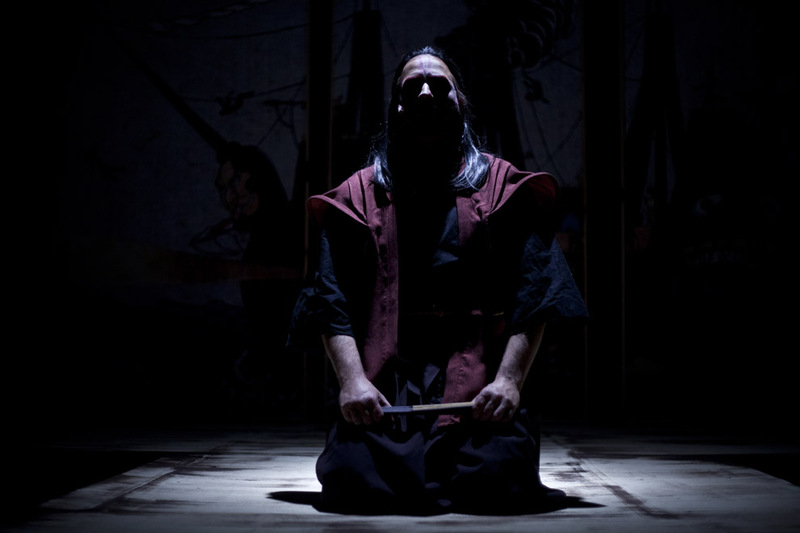 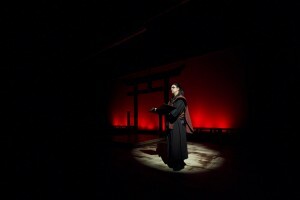 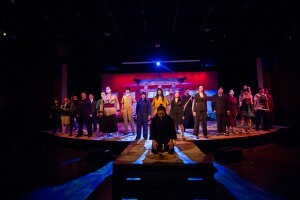 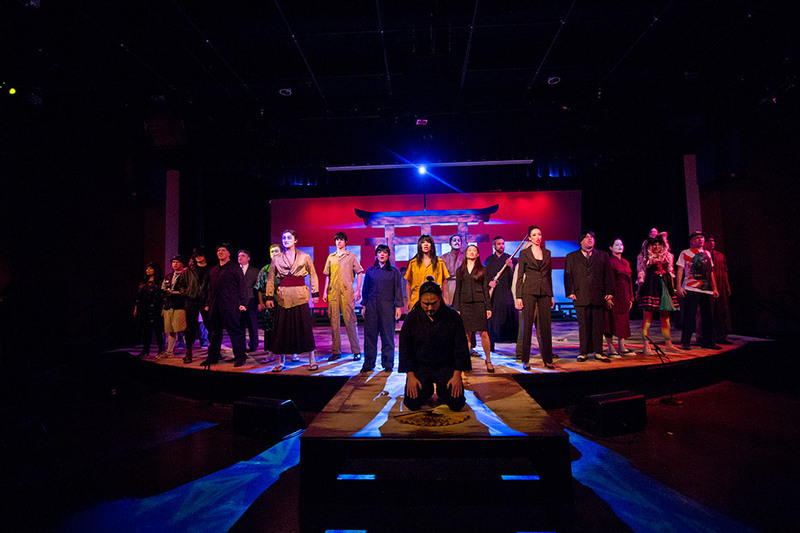 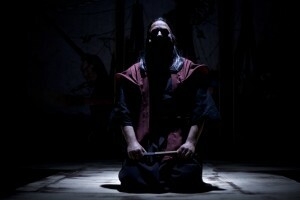 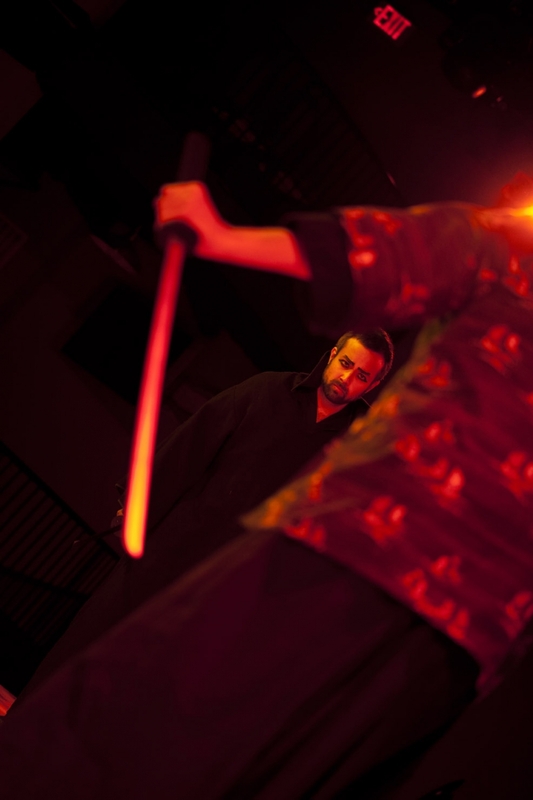 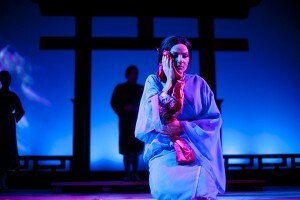 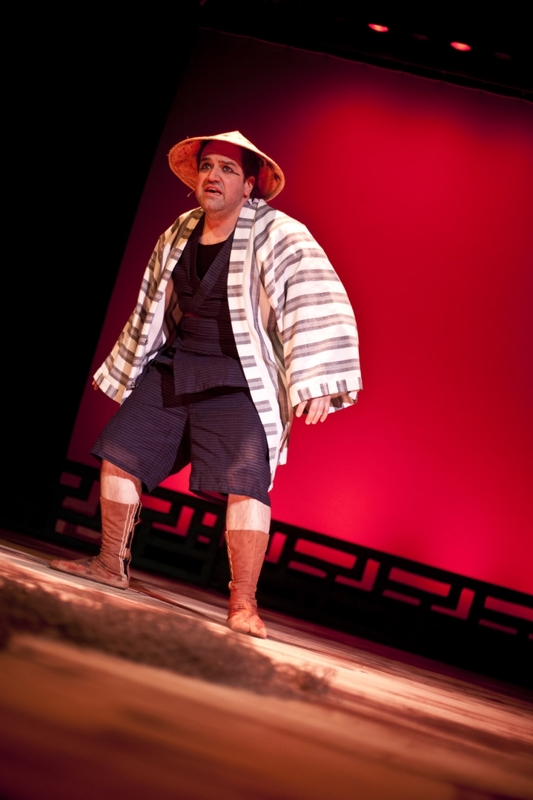 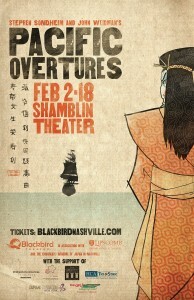 Blackbird Theater presents Pacific Overtures just weeks before Nashville’s popular Cherry Blossom Festival, and only days before the one-year anniversary of the devastating tsunami of March 11. The story is a fitting tribute to the strength and the resilient spirit of the Japanese people. 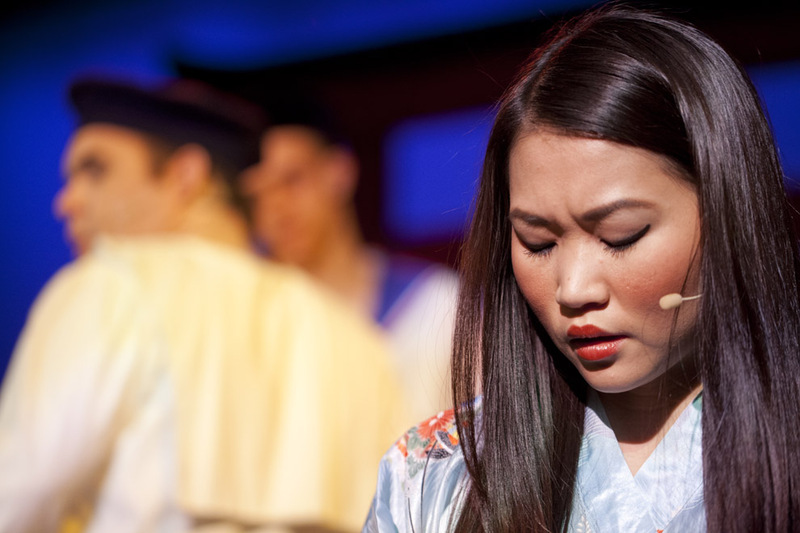 Make your plans to enjoy this must-see theatrical event, one of only a handful of U.S. productions of this musical masterpiece in the next few years.